Christians and Muslims » Do Christians and Muslims worship the same God? The question made headlines late in 2015 when Wheaton College in Chicago suspended a professor of political science for publicly answering the question in the affirmative! The academic was apparently quoting Pope Francis who, the professor believed, also answers the question in the affirmative. Evidently the board of Wheaton College disagree, and numerous Evangelical Protestant colleagues have rallied behind them in support, including Albert Mohler, president of a Southern Baptist seminary, who went one step further, stating that not only do Christians and Muslims worship different gods, but Jews as well! “Can anyone truly worship the Father while rejecting the Son?”, he asked. It actually astonishes me that anyone from a religion that upholds monotheism can ask this question, particularly when those who ask it are normally very careful about the words they use. Yet I’ve heard educated theologians and even Archbishops use exactly this language! “We worship different Gods”, they say, as if they believed in a great pantheon of gods, each attending to the needs of their respective flocks. I, for one, do not believe in multiple gods and I don’t think most of the people who ask this question do either, so perhaps we should begin by reframing the question in a way that is theologically coherent. The question that I think people are asking is ‘is someone really worshipping God if they have the wrong conception of God?’ (or something like that). I think that’s the question, and it’s a good question, as we mustn’t blindly accept the religious integrity of everyone who claims to act in the name of God. I think of the misguided souls who fight for DAESH in Syria and Iraq and behead innocent civilians in the name of God. Are they really worshipping God? Their behaviour suggests that they are worshipping the devil! If these people do believe they are worshipping God then they must have a very different concept of God to the one I have, and I would say it is a defective concept. So … can we say then that those who have mistaken ideas about God are not worshipping God? A minimal amount of reflection shows that this would be a stupid thing to say, for who amongst us would claim to have a truly unblemished conception of God? Presumably I believe very different things about God than does my counterpart fighting for DAESH. Having said that, my conception of God differs radically from that of any number of my fellow Christians too! Moreover, my personal understanding of God has evolved drastically since I first came to faith 30-something years ago. Indeed, my conception of God has evolved enormously even from when I first became a priest! And so we are pushed down the path, so familiar to theologians, where we have to try to work out how much conceptual disagreement there can be within the bounds of genuine worship. What things do we need to believe about God in order to know that we are truly worshipping God, and where do we draw the line such that beliefs that cross that line indicate a departure from true worship? This is, I presume, the heart of the issue for the board of Wheaton College and all who stand with them. Mr Mohler suggests that the process of discrimination is very simple – “Can anyone truly worship the Father while rejecting the Son” – and yet the Christian Scriptures themselves will tell us that there are plenty of ways to reject the Son that don’t require a departure from orthodox dogma and that, conversely, faulty theology does not necessarily mean a rejection of Jesus! Two passages from the New Testament immediately come to mind when I think about this issue. The first is the account of Jesus’ dialogue with the woman at the well, found in the Gospel According to Saint John, chapter four. Here Jesus dialogues with an ostensibly uneducated woman from a religious tradition that would have been considered heretical by Jesus’ peers. The woman’s theology is indeed a bit of a dog’s breakfast. She speaks of holy mountains and of a teacher-messiah who will ‘explain all things’ (John 4:25). Jesus says to her “you worship what you do not know” (John 4:22). Without wanting to squeeze this statement from Jesus too strongly, these words suggest that, from His point of view, the woman is indeed worshipping God even if she doesn’t really know what she is doing. Reinforcing this is the very fact that Jesus engages with the woman so deliberately, suggesting that He sees her as a genuine person of faith with whom he can enter into meaningful theological discussion. Jesus goes on to say to woman that “true worshipers will worship the Father in the Spirit and in truth”, thus urging her to grow spiritually. Even so, at no point is Jesus dismissive of the woman’s basic spiritual integrity! As I say, I don’t mean to squeeze these words in John chapter four to say more than they were intended to say, and yet it seems to be quite possible, according to this account, to worship what you do not know, and so to have a seriously deficient concept of God while still engaging in genuine worship of this God at some level! How should Biblical Christians apply this to the question under discussion? 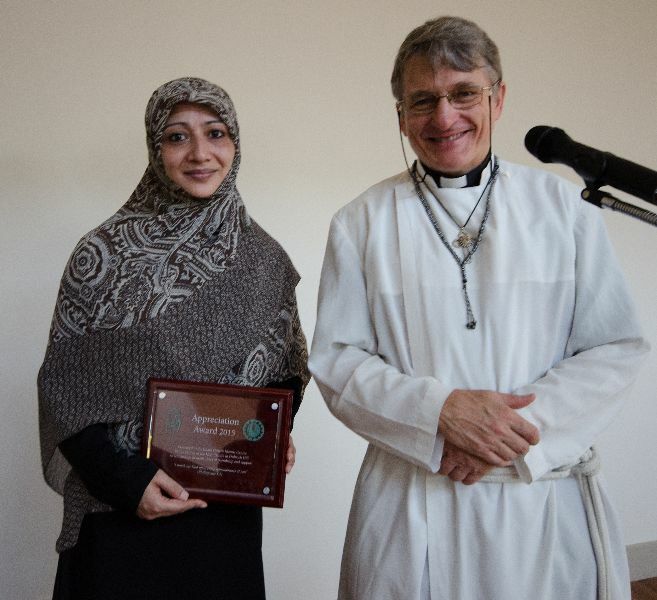 Should we say that, from a New Testament perspective, all Muslims stand in the same position as did this woman – worshipping what they do not know (or at least ‘worshipping what they do not know as well as we Christians think we know’)? I’m not ready to draw any sweeping conclusions as to ‘what the Bible says’ based on this one passage but I will say that this incident is a solid Biblical reminder of the fact that theological orthodoxy and spiritual integrity are not the same thing! The other passage that comes to mind when I think about this subject is Jesus’ story about the Pharisee and the Tax Collector as recorded in the Gospel According to Saint Luke, chapter eighteen. This passage would indeed seem to be acutely relevant to the question of whether false concepts of God are a barrier to true worship as the story ends with one of the two characters having had their prayers heard by God and the other one not! When we read the story of the two men we see that they pray in very different ways and quite possibly they have very different conceptions of God. Interestingly though, this is not stated explicitly by Jesus. What is stated explicitly by Jesus is the radically different conceptions they have of themselves! The Pharisee prays “I thank thee God that I am not like other men” (Luke 18:11) and clearly he thinks a lot of himself. The tax-collector, on the other hand, has a very low opinion of himself, saying only “God, have mercy on me, a sinner!” (Luke 18:13). Given that this is all Jesus tells us about the two men, we are forced to conclude that it is the self-conception of the two protagonists that determines the integrity of their worship in this case, rather than the orthodox nature of their theology as such! This story strikes a familiar chord in the Christian Scriptures, where integrity of worship is generally related more to the attitude and behaviour of the worshipper rather than to their theological orthodoxy. The two may be related of course, but as in all of life so also in the Scriptures – actions tend to speak louder than words! While reading about the Wheaton College incident today I also read of a group of Muslim women in Nigeria who put their bodies on the line to protect their Christian neighbours from a group of Jihadists. Apparently when the militants boarded the bus to drag out the Christians and murder them, a group of Muslim women stood between the Christians and their assailants, saying to the jihadists that they would have to “kill us together or leave them alone”. Apparently the gunmen got confused and left (thanks be to God)! Were these Muslim women worshipping the same God as the Christians they protected? ‘Absolutely’, I would say. Indeed, I would go further and say, in the words of Jesus Himself, that ‘what they did for the least of His brethren, they did for Him’ (Matthew 25:40). An act of self-sacrifice like that is indeed an act of worship, and one that exhibits both spirit and truth! Parish priest, community worker, martial arts master, pro boxer, author, activist, father of four. Father Dave, are you saying in fact that the God Muslims believe in and the God of true followers of the Christian God is one and the same? Father Dave, You state in the information above that you don’t believe in multiple god’s. If this is the case then that means that the all other religions have the same God as Muslims and Christians. 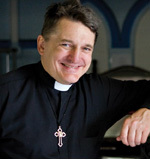 Father Dave, Do you believe in the Holy Trinity that is God, Father, Son and Holy Spirit? Father Dave, in an interview that you did with the Grand Mufti of Syria, the Grand Mufti stated that God created the Muslim Prophet and Jesus and you agreed with the Grand Mufti of Syria. Father Dave do you believe that God created Jesus? An interesting point. My understanding was that the monotheism of ancient Israel was as much a social/political position as a metaphysical one. To assert that there is only one God is to claim that my God is also your God. This can obviously lead to imperialism (and often has) but it can also be seen as an assertion of the common humanity of all people.